You will adore this Baked Provolone dish. It’s super simple, one that can act as a starter, side, light luncheon or a shared snack. Besides, I have a thing for provolone. We have a garden that is exploding with all manner of good things. Tomatoes, basil, oregano and on it goes. 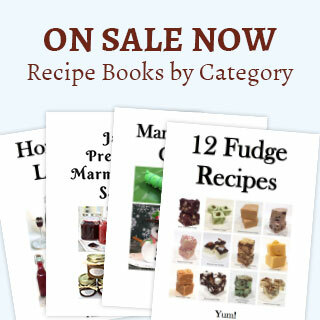 While on a recent trip, I ran on a recipe from Fine Cooking that seemed perfect and would allow me to use some of the abundance from my garden. After a few trials and modifications, voila. Cut, core and dice the tomato into medium pieces. Place the tomato diced in a strainer the drain a bit. Chop and mince the garlic and oregano. Place the diced tomatoes, garlic, marjoram, olive oil, salt, and pepper in a smaller bowl and toss to combine. Place four 5 or 6-inch round baking dishes on a sheet pan. Place 1 round of provolone cheese in each baking dish. Evenly sprinkle the tomato mixture over and around the cheese in each dish. Place the sheet pan in the center of the oven and bake for 5 to 6 minutes, until the cheese is just melted and a bit bubbly. Drizzle a small amount of balsamic vinegar over each dish, add a dash of salt and pepper, and then top each with two teaspoons or so of pesto. Serve immediately with crostinis or neutral crackers. Notes: Although I prefer fresh ingredients, if you’re in a hurry, you can use canned diced tomatoes (thoroughly drained), jarred diced garlic and store bought pesto. To make this recipe even easier, I’ll usually have the deli slice my provolone to the right thickness. Variations: There are so many ways to vary this Baked Provolone. I would suggest just be creative. Regardless here are a few ideas. Pepperoni – Add a few diced pepperoni’s on top, omit the balsamic vinegar using a infused chili oil in it’s placed. Thinly sliced tomatoes and basil – in place of the diced tomatoes and oregano, layered on top, sprinkling a bit of garlic between the basil and tomatoes. 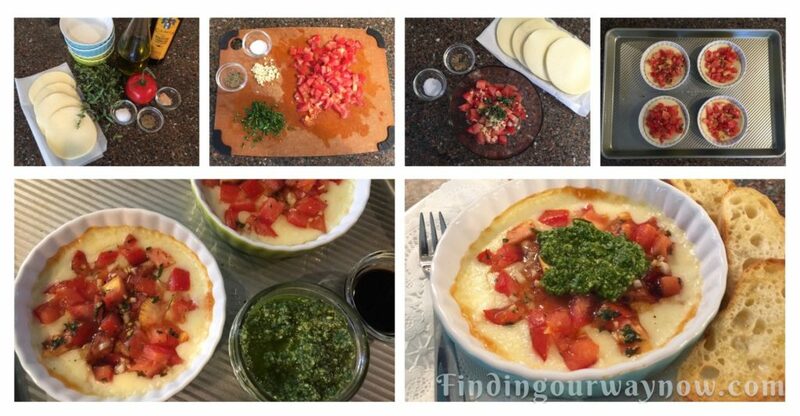 This Baked Provolone was a fun dish to serve. It look so attractive that one would have thought I had slaved over it. When I explained how easy it was, they were thrilled and asked for the recipe. Now, it’s your turn to give this Baked Provolone a whirl. 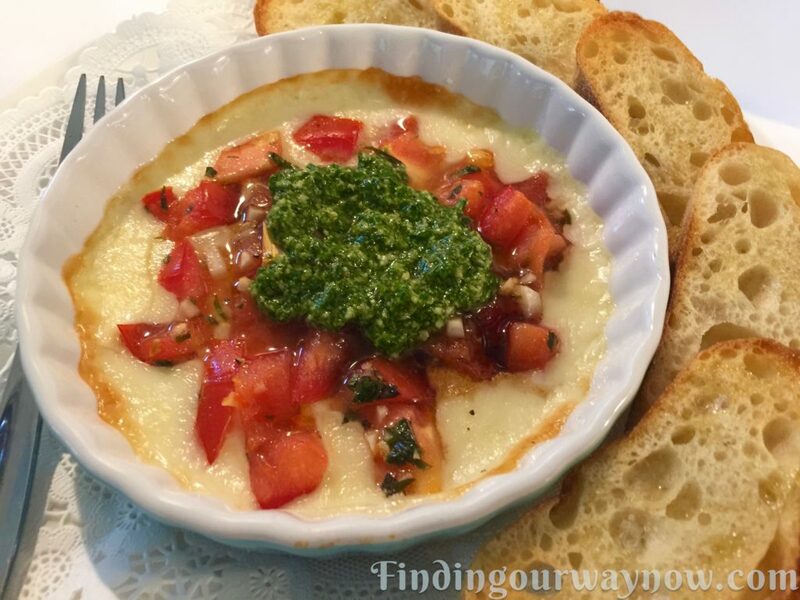 If you enjoyed this “Baked Provolone with Tomatoes, Herbs, and Pesto” recipe, check out my Warm Marinated Feta Cheese with Olives, Baked Brie with Honey and Warmed Pesto on Goat Cheese.